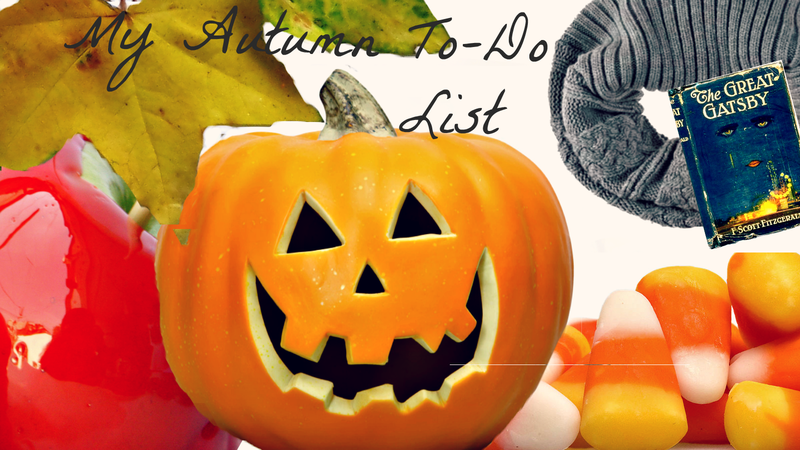 Just Deenie: Autumn To-Do List! I'm writing this post while on the train on my way back from college, thinking about how rude nature is- blowing leaves out of trees and straight down my jumper just now. And how my friend Emma would call it a lucky leaf and probably keep it, should she have been with me. And how Autumn means different things to different people (some of my friends aren't allowed to celebrate Halloween!) and what it means to me personally. Autumn has usually meant the ending of Summer and the start of school to me, up until now. This Autumn I'm in a much better place than I feel like I ever have been, in every aspect of my life (happy as Larry over here guys, as you can see), and I've planned little things to do and people to spend time with and even outfits I'm excited to wear! The list does go on a bit so I'll give it a rest, but those are my favourites. I'm looking forward to it all! What have you got planned this Autumn? I haven't had them since I was about five, they better be as good as I remember! I've still never carved a pumpkin before...maybe I'll have to change this, this halloween! That's crazy, I might be absolutely pants at pumpkin carving but it's so much fun!